The goal of this project, which is funded by an NSF IUSE grant (DUE 1432804), is to transform the first year mathematics and statistics series at UCLA into a curriculum that incorporates biological examples and computational exercises as well as student-centered teaching strategies demonstrated to be effective in large-enrollment gateway courses. This initiative serves all Life Sciences departments, with the aim of enhancing quantitative reasoning skills and improving persistence of students in STEM majors. This project initially focused on the implementation of two new math courses (LS30A and LS30B). Collaborative learning workshops for students in the Program for Excellence in Education and Research in the Sciences (PEERS) have been developed to complement the new math courses and provide significant support for students in underrepresented and underserved groups (URGs) most at risk for leaving STEM. To facilitate collaborative group work during class, undergraduate Learning Assistants (LAs) have been deployed into lectures and computational laboratory sections. Many of the mathematical and computational skills that are essential to modern biological research are not taught in a traditional first-year calculus course. Ascribed to the wide variation in high school preparation, all entering freshmen do not start out with the same foundational knowledge. As a result, some students underperform compared with their peers and/or become disenfranchised by ineffective instructional approaches and content that lacks biological examples relevant to their intended major. Many then transfer out of STEM fields. 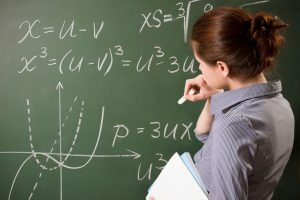 Development of the new math curriculum was inspired by an urgent need to update both the content and pedagogy of the first year math series for Life Science majors. This course sequence, taught in the Life Sciences Core Education Department, serves as an alternative to the traditional calculus sequence (Math 3A, 3B, 3C) offered by UCLA’s Mathematics Department. The assessment plan monitors the attitudes and perceptions of student in the new curriculum, their performance in subsequent STEM courses, and their persistence toward intended STEM degrees. Our results indicate that LS30A and LS30B provide students the quantitative training necessary for success in future chemistry and physics courses. To assist other institutions in adopting this new math curriculum, the instructors (A. Garfinkel, J. Shevtsov, and Y. Guo) have published a textbook covering concepts and applications for this course. Modeling Life: The Mathematics of Biological Systems. For more information about this project, please contact Professor and Project PI Blaire Van Valkenburgh (Email: bvanval@eeb.ucla.edu).